Most of Somalia is dry, deserted land but there is a compensation for this – the unique forest at the northern side of Cal Madow mountains. Most beautiful part of this forest is Daallo Frankincense Forest – dense, beautiful and fragrant forest where is harvested Maydi – Coptic Frankincense. Daallo Escarpment is an impressive mountain range, rising tall above the dry seaside plains at the Gulf of Aden. The tallest summit here is the 2,416 m high (some consider that the mountain is taller) Mount Shimbiris. 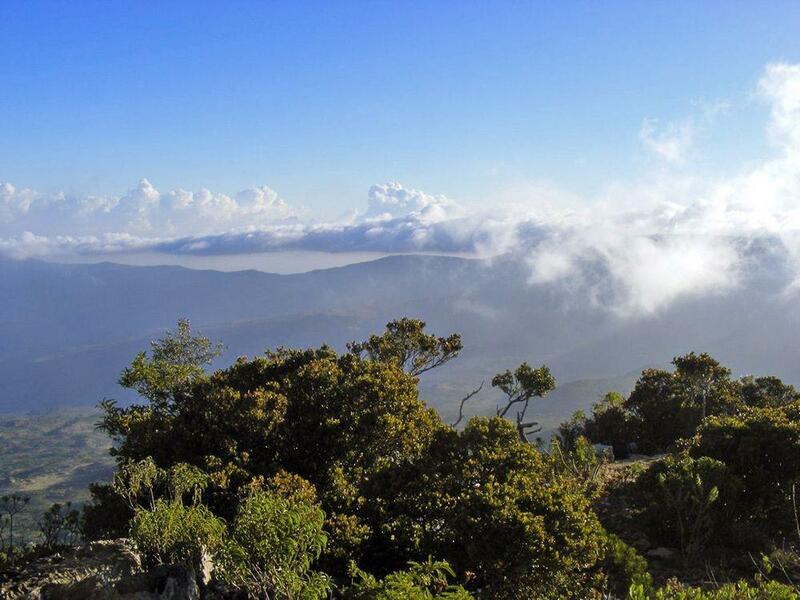 This escarpment receives more rain and mist than any other place in the Horn of Africa – Daallo Forest receives more than 700 mm of precipitation per year. This is sufficient to support lush vegetation. In the forest of Cal Madow grow approximately 1000 species of plants and quite a few of these plants are found only here. This area is beautiful and has a high potential for tourism… one day, when there will be peace in the Horn of Africa. Outskirts of the Daallo Forest are sparse, similar to savannah, with rare trees spread around. But closer to the foot of cliffs the forest becomes denser, the trees are taller. Trees have managed to "climb" the cliffs and reach the summit of mountains, where the forest continues as a narrow strip. The rain and mist does not reach further inland – and this defines the limits of the forest. Forest is rich with rare and unique plants and animals – here live several birds and reptiles which are not met anywhere else, such as Somali pigeon (Columba oliviae) and a finch – Warsangli linnet (Linaria johannis). After rain and during the mist one can feel the sweet, unusual fragrance in this forest. There is no other forest in the world with such fragrance because it is produced by trees which grow only here. Several plants create this fragrance, such as Pistacia aethiopica and others. 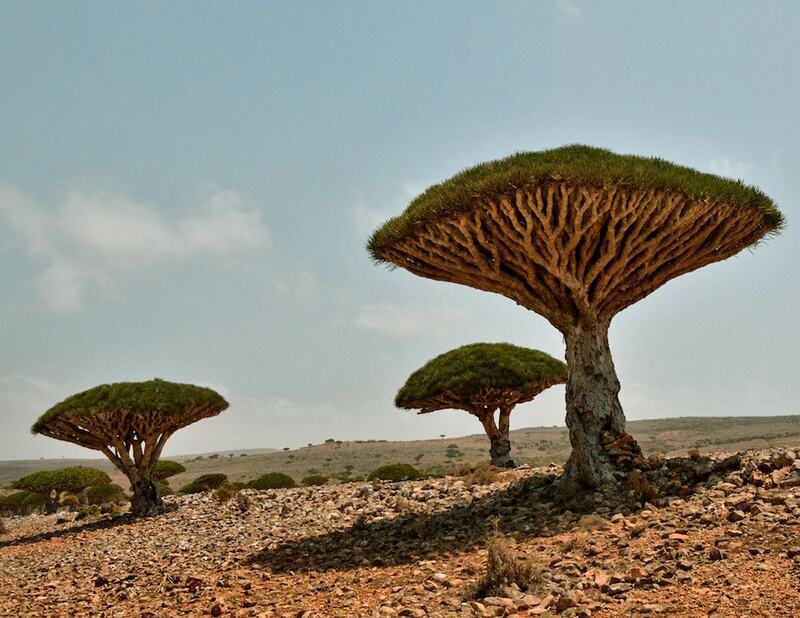 Here can be found the exotic Gabel Elba Dragon’s Blood Tree Dracaena ombet (local variety earlier was named Dracaena schizantha but seems to be the same species) with valuable red resin. Nevertheless by far the best known fragrant tree in this area is the legendary Coptic Frankincense (Boswellia frereana). Locals sometimes call this tree – a "king of all frankincense" and consider this to be the best frankincense in the world. This is a matter of taste: further to the east of Somalia as well as across the Gulf of Aden, in Yemen and Oman grows another species of frankincense – Boswellia sacra whose fragrant resin also is known and valued for millennia. Aroma of both these kinds of frankincense differs – Coptic Frankincense is deeper, more balsamic and resinous than B.sacra. Coptic Frankincense (locals call it Maydi) forms pure stands at the base of the cliffs. This tree has adjusted to the specific local conditions and there has been not much success to grow it elsewhere. Many trees grow directly on the cliffs and it is not easy to reach them – but exactly these are the best ones. 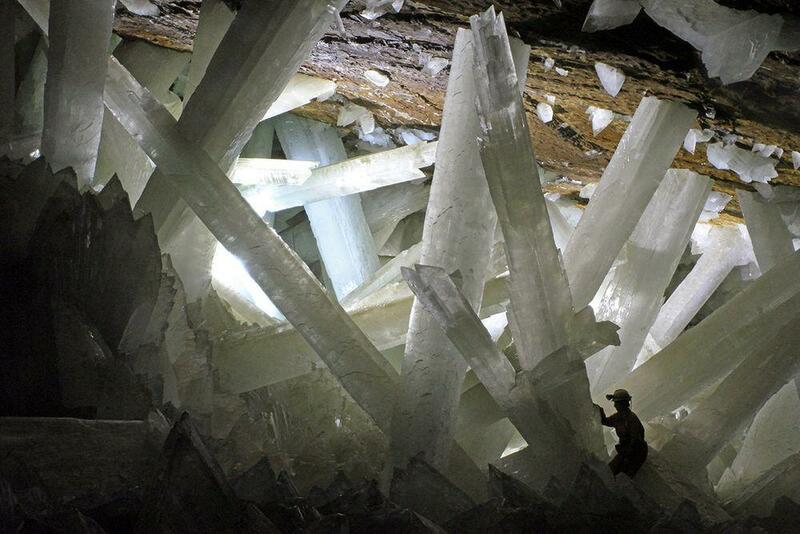 In the cliffs are caves where the frankincense collectors have been residing for centuries. Local people do not cut these trees – in fact, trees have been divided among local clans and are harvested for their resin. They are inheriting these trees from their fathers and over the long centuries have learned to harvest the resin without adverse effects to the tree. Many local families subsist on this unique natural resource and are interested in the preservation of the unique forest. The oil and resin from this tree is used to appease mind, relieve pain, to make one happier. This aroma is truly divine and has been used in religious rituals in Ancient Egypt (used also for embalming), Ancient Rome, Christianity, and Islam. Currently, the resin from B.frereana is used in the Coptic Church in Egypt, in Ethiopian Church but most is exported to Saudi Arabia as a souvenir for Muslim pilgrims. There are many practical uses for this resin. Locals use it for the treatment of many illnesses – research shows that boswellic acids (yes, unique chemicals found only in this resin!) can be used to treat asthma and inflammatory diseases. Arabs use the Somalian frankincense to make chewing gum which is very efficient to keep tooth and gums healthy and breath – fresh. Frankincense is included in many popular perfumes and cosmetic products. 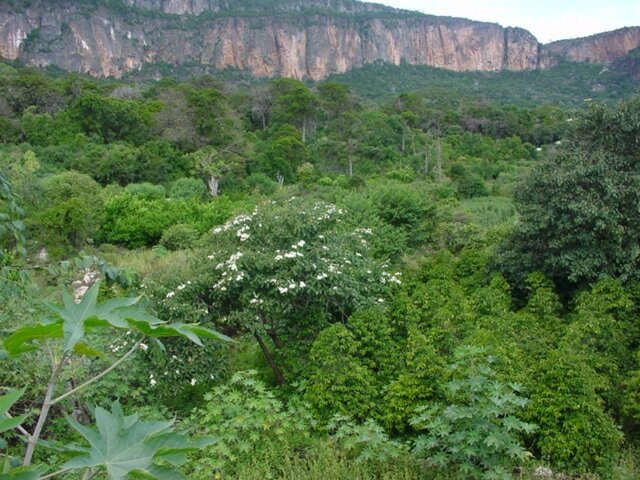 The unique fragrant forest can bring prosperity to the people of Somaliland through fair trade – and hopefully, it will one day. World Wildlife Fund. Somali montane xeric woodlands. Accessed in 22nd January 2016. Last decades have been very hard for Somalia. Country has experienced devastating civil war and powerty, there is a possibility that this large country will divide into smaller countries. These events have "closed" Somalia for general tourism and most people in the world don’t realise how incredibly rich is the cultural heritage of this country.